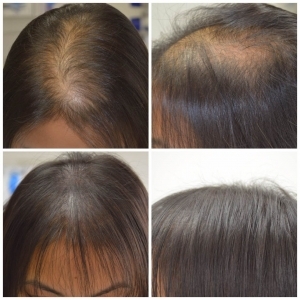 If you want guaranteed results that look natural and actually relieve the frustrating effects of hair loss, SMP is the choice for you. 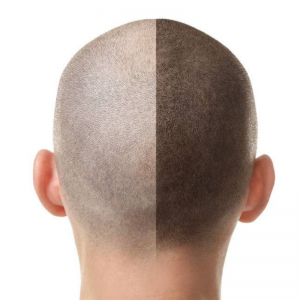 Scalp Micropigmentation also known as SMP for short is a medical grade tattoo where it creates the look of hair density, hair shading and hair simulation using special needles and pigments. SMP, when done correctly, can also be helpful for the concealment of scar revisions from either a FUSS procedure where a linear scar is left on the patient’s donor region or a scar from an accident. What SMP is able to achieve is matching the skin tone to the hair color so there is less contrast hence creating the look and illusion of thicker and fuller hair. There are several options when it comes to SMP and they differ in technique. There is a $50 SMP consulting fee. We discount the $50 consulting fee from the service cost. The service cost varies with the size of the treatment.